INSIDE: Nothing on earth is more precious than the love of a Mother. To bring the joy and happiness that I’m surely wishing you. And Irish angels smile on you as you go along the way. This Irish birthday card features an embossed and gold foil design along with a blessing inside. 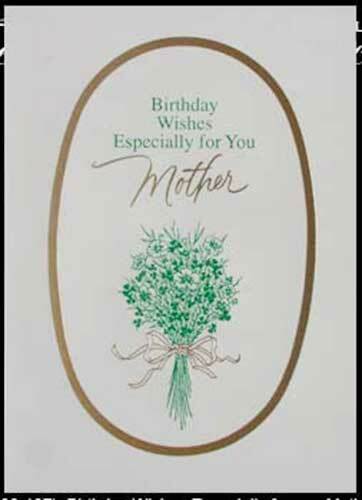 The Irish birthday card for mother is made of heavy card stock and measure 5” wide x 7” tall; an envelope is included. This Irish note card is made in the United States.